The commute to Pennsylvania from South Jersey will get less expensive for many frequent travelers. Beginning today, Dec. 1, the Delaware River Port Authority revives its discount program for motorists who regularly use its four bridges spanning the Delaware River between New Jersey and Pennsylvania. In its new incarnation, the program is available to drivers enrolled in NJ E-ZPass and will provide an $18 credit for those who make 18 or more trips across any DRPA bridge in a calendar month, according to information on the DRPA's website. 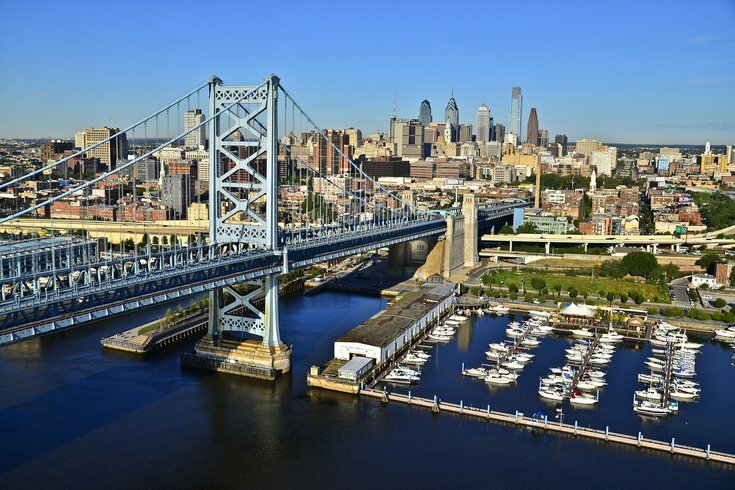 Trips across the Benjamin Franklin Bridge, Betsy Ross Bridge, Commodore Barry Bridge and Walt Whitman Bridge count toward the discount. The Tacony-Palmyra Bridge and the Burlington-Bristol Bridge are operated by the Burlington County Bridge Commission and are not part of this program. Also, the discount currently is not available to Pennsylvania E-ZPass holders, but DRPA officials said it could be by early 2016, according to 6ABC. NJ E-ZPass holders must login to ezpassnj.com beginning Tuesday to activate this program in their accounts. Motorists who do not have E-ZPass can also use the site to sign up for an account. For commuters who make the qualifying number of trips, the discount will be credited to their E-ZPass accounts the following month. Only private accounts are eligible for the program, and the discount cannot be combined with another bridge toll discount, the DRPA said. The DRPA originally announced this discount program in July, restoring a version of a toll discount plan for frequent commuters that had been eliminated in 2011. The authority estimates about 30,000 commuters will make the necessary 18 trips to earn the bridge toll credit each month. Those commuters represent about 15 percent of the 200,000 drivers who travel the DRPA's four bridges every day.